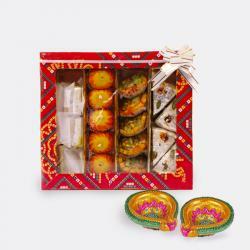 Product Consist : Box of Kaju Katli Sweet (Weight : 500 gms) with Assorted Fire crackers (Worth Rs.300/-) (Note: Types of Fire Cracker are depends upon their availability no specific choice). 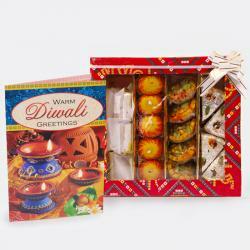 We come to you with exotic gift hampers to treat your loved ones on this Diwali. This is an Exclusive gift hamper that consists of a box of 500 gms super tasty Kaju Katli and assorted fire crackers worth Rs. 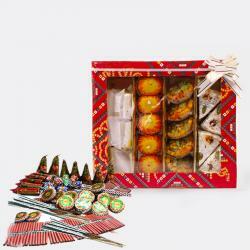 300 that includes sparklers, flower pots, ground chakkars, sky shots, red crackers and so on. 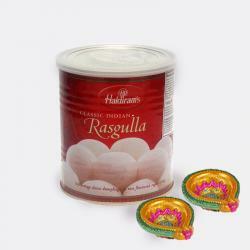 So enjoy this Diwali with lots of fun and excitement by sending this mind blowing gift hamper to your family and friends. We are sure it will strengthen your bond with them. 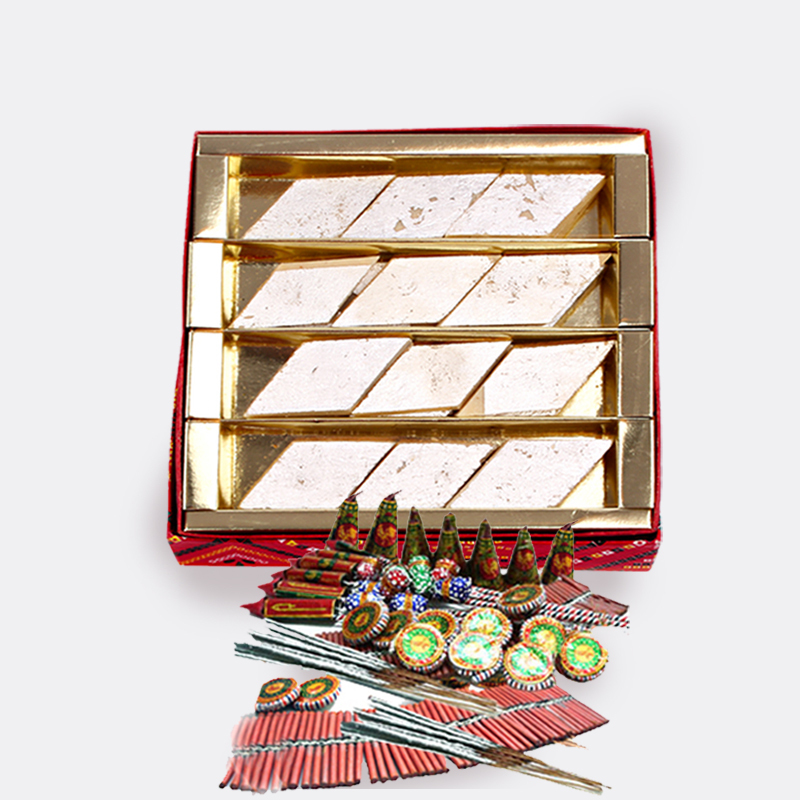 Product Includes : Box of Kaju Katli Sweet (Weight : 500 gms) with Assorted Fire crackers (Worth Rs.300/-) (Note: Types of Fire Cracker are depends upon their availability no specific choice).